The sports brand's project to help an athlete run a sub-two-hour marathon captured the public's imagination. It’s taken five years for another brand to devise something deemed comparable to Red Bull Stratos, but in 2017 Nike cracked it with "Breaking2", an extraordinary endeavour that takes our Campaign of the Year accolade. Breaking2, the sports-apparel brand’s "moonshot" attempt to break the two-hour barrier for running a marathon, was no overnight flight of fancy. Crucial to the effort was Sandy Bodecker, the Nike vice-president of special projects. A company veteran of 35 years, he had been obsessed with the marathon record for years, even going so far as to tattoo 1:59:59 on his left wrist, and lobbied senior figures in the business to fund the attempt. Once he did, it took two years of groundwork before Nike felt ready to officially unveil its plans in 2016, working for months with elite distance runners Eliud Kipchoge, Lelisa Desisa and Zersenay Tadese to help them prepare. 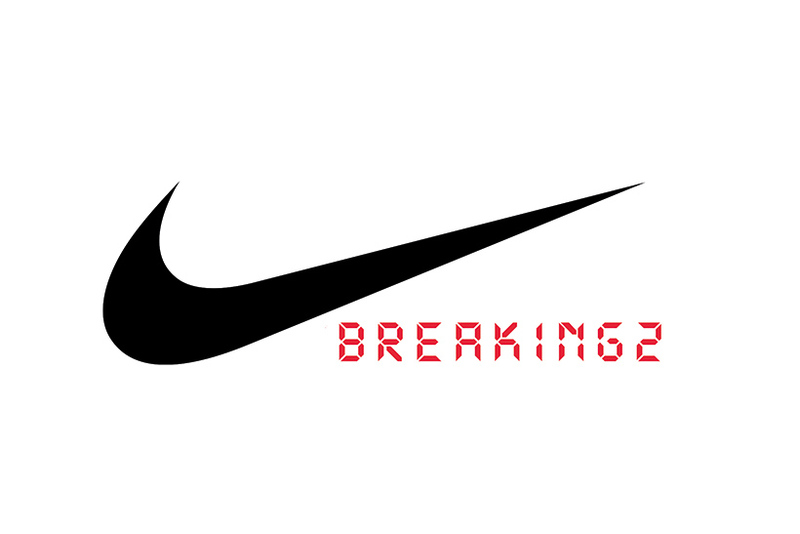 Even as recently as March this year, Nike was reportedly close to scrapping the project due to fears that they would be viewed as cheats because of the race’s specially tailored set-up. Nonetheless, on 6 May, at the Monza Formula One race track in Italy, Bodecker’s obsession became the world’s obsession. Breaking2 was a unique live event. The record attempt went beyond athletics fans – the number of people tuning in to the live stream was nearly eight times higher than the broadcast audience of the New York, Boston and Chicago marathons. In total, 13.1 million watched the attempt live via Twitter (it was Twitter’s biggest-ever brand-driven, live-streaming event), Facebook and YouTube, with 500,000 viewing at its peak. To date, 19 million people have watched it. Such was the richness of the content that National Geographic and Nike were able to create a 55-minute documentary about the feat. Linking this elite performance back to the real world, Nike invited consumers to attempt a sub-25-minute 5k using its app to get early access to its Zoom Fly trainers, the "non-elite" version of those worn by the Breaking2 runners. The project will leave a legacy. Nike says the data and insights it generated will drive innovation that will ultimately lead to better products and services for athletes of all abilities. The remarkable thing is that, on one level, Breaking2 was a failure; Kipchoge beat the previous world record by more than two minutes, but (just) failed to break the two-hour barrier. However, it is upon the audaciousness of the attempt that it has come to be judged. Breaking2 is a different shape from previous winners of this award, but in a world where brands need to create culture instead of interrupting consumers, we may well see more of its ilk winning this prize in years to come. How do you better Dave and his bootylicious twerks? It seemed an impossible task but Moneysupermarket.com and Mother pulled it off with a cheerful makeover of He-Man and Skeletor from Masters of the Universe. Designed to connect with the 35-year-old-plus target audience, the launch ad revealed Skeletor as a funky dancer, strutting his stuff to 1980s anthem Fame. The spot racked up more than 1.8 million views, was May’s most-recalled and most-liked ad in Campaign’s Adwatch, and scored in the top 2% most engaging ads ever recorded (Millward Brown). The film was supported by eye-catching print, digital and social activity featuring the reinvented baddie. There was no "difficult second album" for Moneysupermarket. In September, the next ad under the banner took the idea to new heights, sending nostalgia levels into overdrive. This time He-Man was given a prominent role dancing with Skeletor in a two-minute Dirty Dancing-themed extravaganza. First aired during The X Factor, the spot stole the show, leaving social-media users pondering how the ad break turned out to be more entertaining than the main event. Of the 30 million views the ad received, 27 million have been organic, which equates to £3m of free media. The creativity has paid off with revenues at the price-comparison site up 6%. No doubt about it, 2017 was an epic year for Moneysupermarket. Unilever took its "Love it or hate it" campaign for Marmite into the realms of science this year. The brainchild of Adam & Eve/DDB, the "Marmite gene project" was built on the premise that our response to the yeast-extract spread could have a genetic basis. Launched in September, the integrated campaign spanned everything from TV to saliva-testing kits intended to help users find out whether they are genetic haters or lovers. AnalogFolk also created TasteFace, an app that uses facial-recognition technology to gauge people’s reactions to Marmite. The nation might be divided by Marmite but Unilever’s marketers will have felt nothing but love when they clocked the campaign stats. It had the greatest uplift in awareness for a single campaign, from 3% to 12%, while consideration rocketed from 4% to 21%. Aided by a PR drive by W Communications, the activity generated 200 pieces of coverage. Most importantly, sales have risen by 11%, making "Marmite gene project" the brand’s most successful campaign yet.